Toronto-area traditional masonry for projects that last. 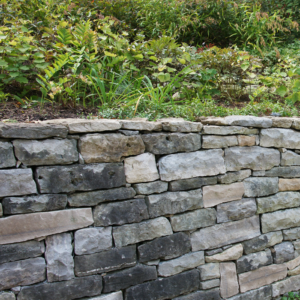 Refined over 15 years of landscape masonry experience. Trends come and go, but classic stonework is always in style. We use quality materials and techniques built to last. Our stonework designs are based on traditional techniques that are always eye-catching. If it's broken, we can fix it. 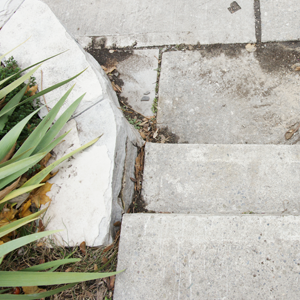 Broken paths, patios, or stairs can be a safety hazard, and can leave your projects open to the elements and faster deterioration. A professional fix can mean safety and less cost down the road. We use a small crew ranging from one to three people, and are careful not to disturb your existing landscaping. We dislike noisy machines as much as you, so we use tools and processes that are as quiet as possible. We work with your property's existing architectural era and style to create well-suited stone features. Dry stacked & mortared retaining walls, patios, stairs, walkways, and landscape water management. Do you have a project you don't quite know how to tackle? We love providing solutions for any problems, no matter how complex. We do small and medium poured concrete projects. 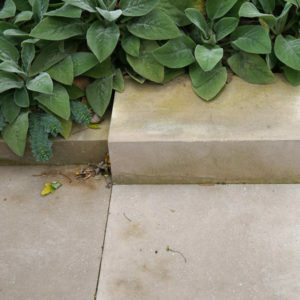 We also do parging, and concrete repair. No matter how small the job, give us a call. 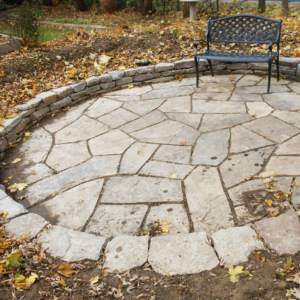 "Mike did an excellent job designing and installing a patio in our backyard. He was professional, courteous, and a fine craftsman. Very neat and tidy too." "Edwin Natural Stone did a great job restoring and rebuilding our retaining wall and front stairs. I'll definitely use his services again." "My company uses Mike for all our garden construction and stone masonry. My clients are always happy with his work. He knows his stuff!"